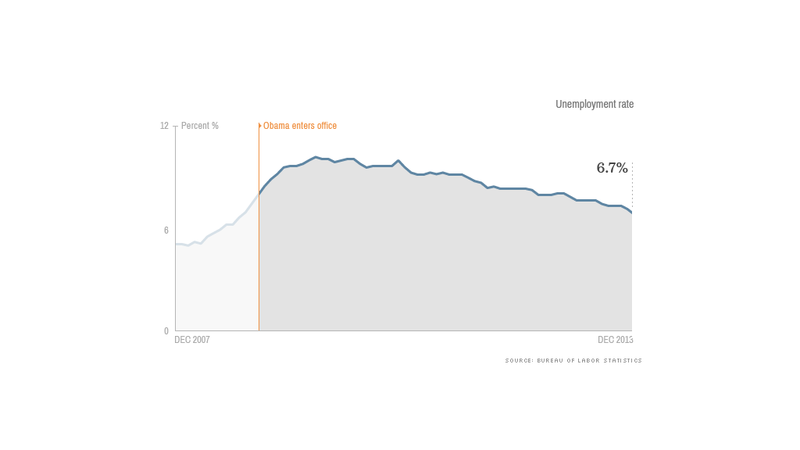 The unemployment rate has fallen considerably since peaking at 10% in late 2009. Unfortunately, the drop comes for mixed reasons. Whereas hiring has improved, millions of Americans have also dropped out of the labor force. While some were probably Baby Boomers who retired, others are workers who simply gave up hope of finding a job. Heidi Shierholz, an economist with the left-leaning Economic Policy Institute, estimates that if all these "missing workers" were still looking for jobs, the unemployment rate would actually be around 10% today, rather than its current 6.7%.